Click here to visit our Early Childhood web page to learn more and apply today! View our flyer for more information. We are now accepting applications for the 2019-2020 School Year. The application deadline for the Preschool Lottery is Friday, April 19th! The Holyoke Public Schools offers free preschool in the Donahue, E.N. White, Kelly, Lawrence, McMahon, Metcalf, Morgan, and Sullivan schools. To apply for the Preschool lottery for SY19-20, students MUST be 3 years old on or before September 1, 2019, and be a resident of Holyoke. We are excited to announce high-quality Extended School Year (ESY) special education learning opportunities for qualifying HPS students in grades PK-12. The programs run from July 8th, 2019- August 8th, 2019. Register by May 1st. Students who enrolled in the Vacation Academy program have been accepted and will receive information packets this week. Vacation Academy will be held Monday through Thursday, April 15 – 18, from 8:30 a.m. to 3:00 p.m. at Donahue School. For questions, please feel free to contact: Director Michelle Macklin mmacklin@hps.holyoke.ma.us or Assistant Director Sam Garcia sagarcia@hps.holyoke.ma.us. The Holyoke Public Schools Dual Language Program is an innovative program that offers students the opportunity to learn in two languages: English and Spanish. This program is held at two locations. Metcalf School offers grades PK-5, and E.N. White offers grades PK-2. The goal of the program is to reach high levels of academic achievement, bilingualism, and bi-literacy in a safe and engaging learning environment that values multiculturalism while preparing students for college and career. Holyoke STEM Academy is a Science, Technology, Engineering and Mathematics school, where students engage in hands-on learning, such as coding and robotics, and develop strong problem-solving and communication skills. STEM Academy is a pipeline into two of our science-themed learning academies at Holyoke High School. We are now accepting applications to Holyoke STEM Academy – applicants should be entering 6th-8th-grade in 2019-20 and reside outside of the E.N. White school zone. Read more about Holyoke STEM Academy. Apply today! English | En Español OR complete online application English |En Español. Veritas Prep Holyoke is a college prep middle school, where its close-knit community sets high expectations for each student and supports them with daily tutoring and customized supports. We are now accepting applications to Veritas Prep Holyoke. Applicants should be entering 5th or 6th grade in 2019-20 and reside outside of the Morgan & Kelly school zones. Read more about Veritas Prep Holyoke. Apply today! English |En Español OR complete online application English |En Español. Summit Learning at Peck (Formerly named Personal Pathway Program – P3) – is a personalized approach to teaching and learning. It is a way for students to unlock the power within themselves to live fulfilled and successful lives. Summit Learning gives every student: support from a caring mentor, life skills that they can apply to real-world situations, and an ability to use self-direction to develop self-confidence, understand their own strengths and weaknesses, and prepare themselves for life after graduation. We are now accepting applications for Summit Learning – applicants should be entering 4th-8th grades in 2019-20 and reside outside of the Peck School zone. Read more about Summit Learning at Peck. English |En Español OR complete online application English |En Español. 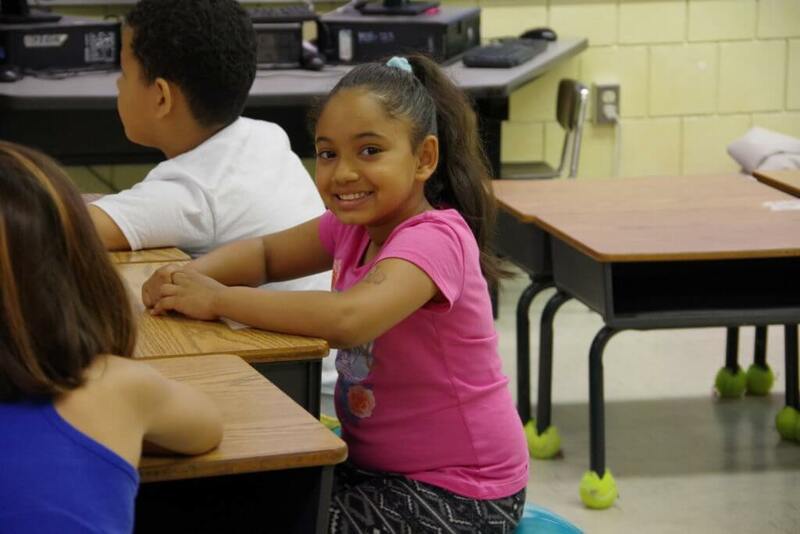 The Dual Language Program Metcalf School is expanding its program to include grade 5. We are now accepting applications – for middle school, applicants should be entering 5th grade in 2019-20. English |En Español OR complete online application English |En Español. See above for more information about this program. Enrollment in Holyoke Public Schools takes place by appointment at our Student Enrollment and Family Empowerment Center, located at 57 Suffolk Street, First Floor in Holyoke. Please call 413-534-2000 option 1 to book an appointment, which are available from Monday through Thursday from 8:30 am – 2:00 pm, and Friday 9:00 am – 2:00 pm. Please note that Holyoke High School Dean Campus has special eligibility requirements.